Cheap, healthy and versatile, chicken is a staple in many households; unfortunately, this also means that it tends to get a lot of slack for being boring and played out. Sick of the same old grilled chicken breasts and boring, bland dishes? 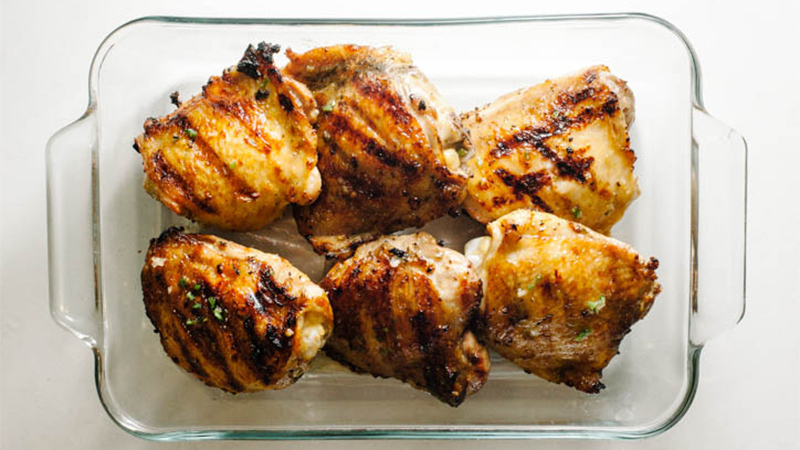 Craving a juicy, chicken recipe that will excite your tastebuds? 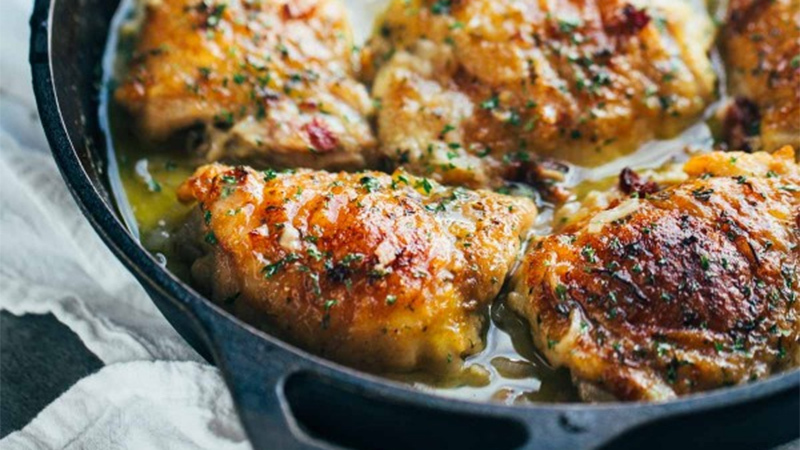 Look no further: These 10 tasty chicken recipes that will have you falling in love with chicken all over again. Let’s kick off this list with something a little bit fancy! Lindsay from A Pinch of Yum shows us how to create a chicken dish that would be perfect for a dinner party or a simple night at home with family. According to the blog, this juicy chicken recipe is 369 calories, but this count can be brought down by using skinless chicken and vegetable stock instead of chicken stock. 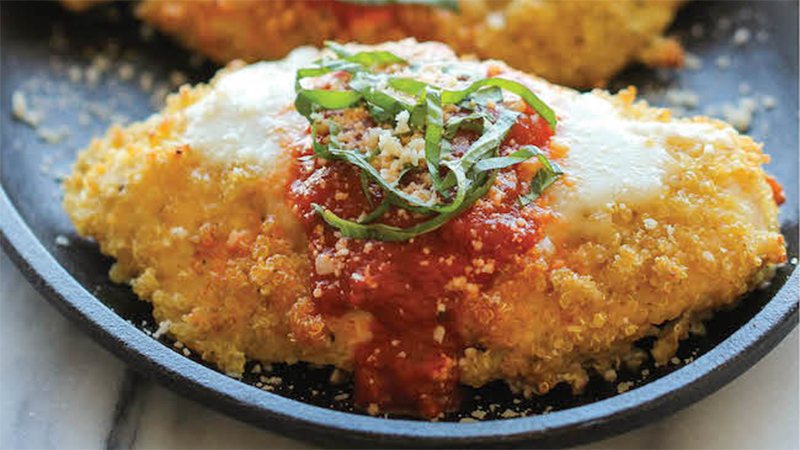 Looking for a chicken dish to create with food items that are already in your house? This delicious and juicy chicken recipe from Table for Two may be the perfect recipe to whip up. The mix of ingredients is a bit unorthodox – Dijon mustard, maple syrup, rice wine vinegar – but those ingredients wind up coming together to make a killer meal. Preparing and cooking the dish takes less than an hour to make, so it will not take up too much of your time. Plus, this recipe even has modification tips for a paleo diet. 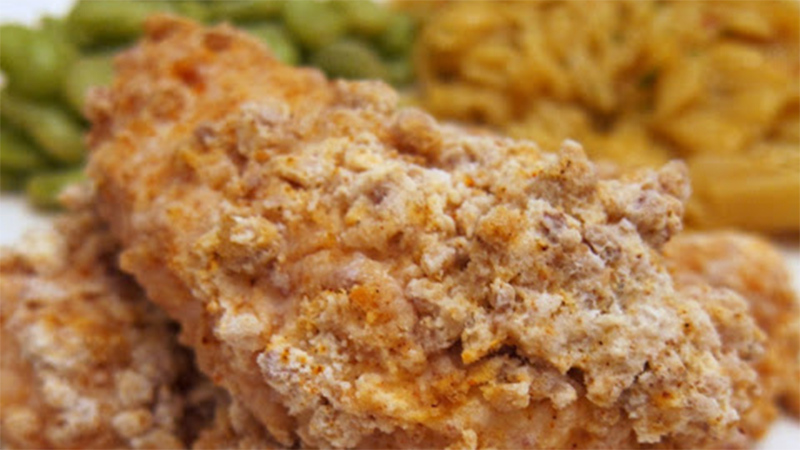 Chicken tenders are a great go-to when you are short on time and want something comofrting. This juicy baked chicken recipe, which originated from Southern Living Homestyle Cooking, calls for boneless, skinless chicken, but Steph of Plain Chicken used chicken tenders, since they cook faster. The chicken is baked instead of fried, so you do not have to worry so much about extra grease, and the use of pecans gives an extra crunch an added nutritional value. Just as the pecans served as the crust for the chicken tenders in the previous recipe, the quinoa is used as the crust for this delicious dish. This baked chicken recipe from Damn Delicious packs almost 40 grams of protein, so save this one for your gym days! Looking for some spice in your next chicken dish? This meal from I am a Food Blog should do the trick. This recipe calls for ingredients that are probably already in your kitchen cabinets. meaning that this chicken recipe is fairly easy and cheap to make. Simply cook, glaze, and enjoy! 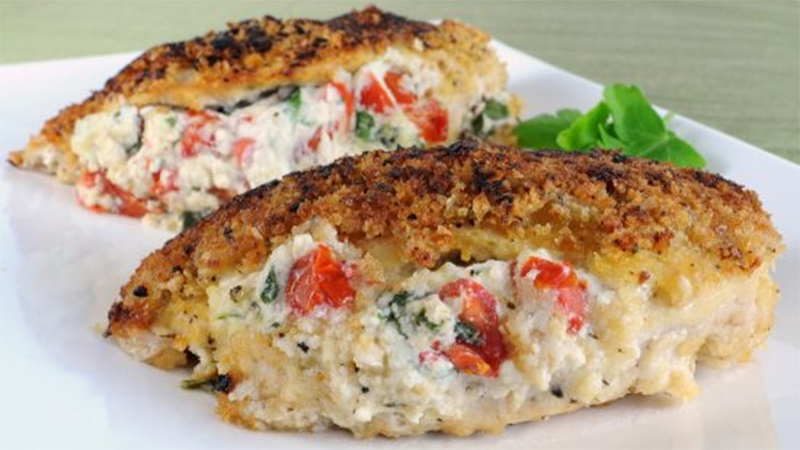 Some things are just made for stuffing, and chicken is no exception. 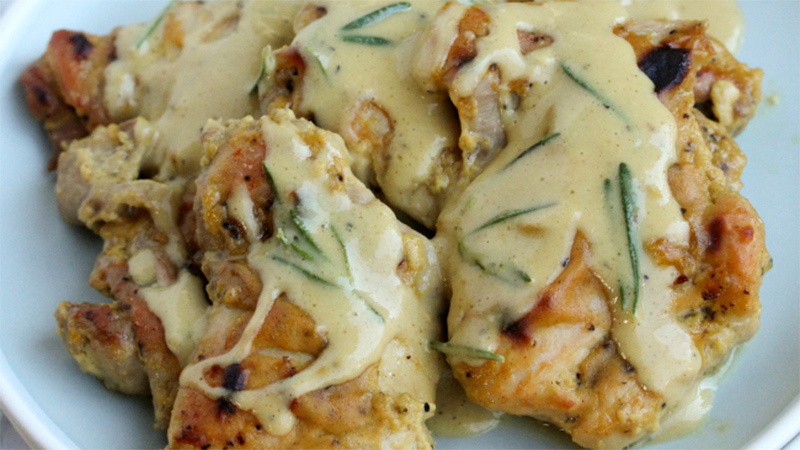 For the Love of Cooking has the perfect juicy chicken recipe to try out with your family. This dish is healthy, hearty, and satisfying. There’s nothing wrong with crossing cultural boundaries when it comes to a juicy chicken recipe. 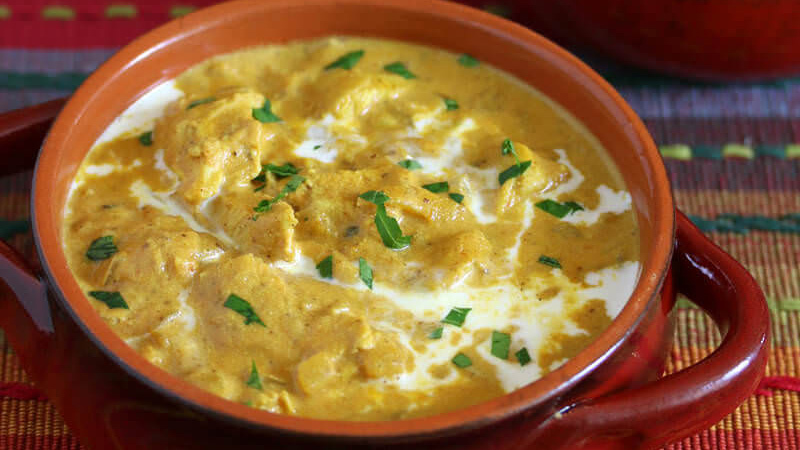 As you may have already guessed, this is an Indian dish that is sure to stimulate your taste buds. Now prepare yourself: this dish has a good number of ingredients, but they are not anything super expensive or unhealthy. Although the dish via The Daring Gourmet has all of these ingredients, it only requires a little over 30 minutes to make. 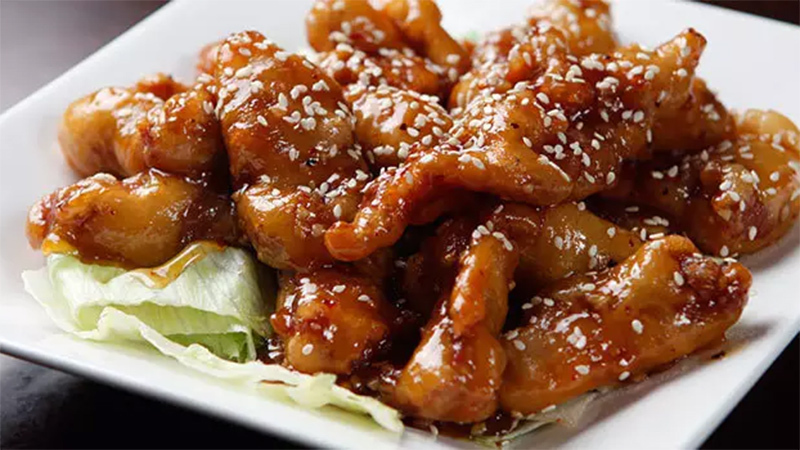 Are you a fan of that sweet and spicy chicken recipe that’s served in Chinese restaurants? Well The BeachBody Blog found a way to make it healthier without losing all the taste. The recipe only takes about 30 minutes to prepare and cook, and the best part is it’s only 183 calories with 24 grams of protein per serving. This Simply Recipes chicken dish is actually one of the easiest juiciest chicken recipes on this list, because you have complete creative control. Elise offers a great guideline to work with, but you can change up ingredients if you’d like. 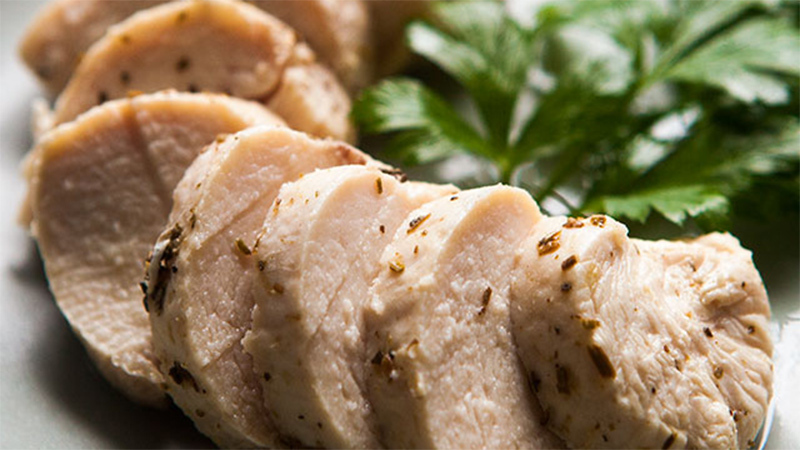 This recipe requires a bit of elbow grease, due to the fact that you have to trim the fat off the chicken, wrap it in plastic wrap, and drop it into boiling water; but the work is well worth it when you take your first bite! Last on our list is a super simple and tasty chicken dish from Slender Kitchen. This dish is full of spices with a touch of citrus that brings this dish full circle! The site also prides itself in making this dish paleo, gluten-free, and low carb, which is great for those of us who are really trying to watch our waistlines! 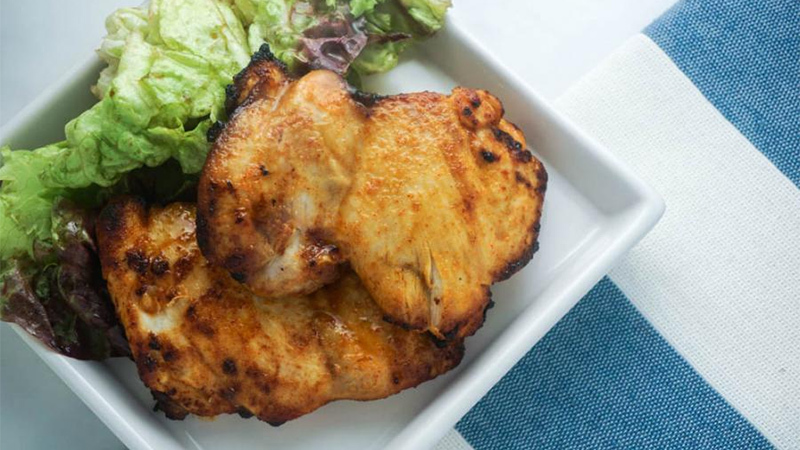 This easy juicy chicken recipe only takes up 10 minutes of your time, is 224 calories, and has about 34 grams of protein. All this talk about chicken is making us hungry! There are so many different ways to create flavourful, juicy chicken — it’s almost overwhelming. What is your favourite chicken recipe? Share your recipes with us on Facebook.